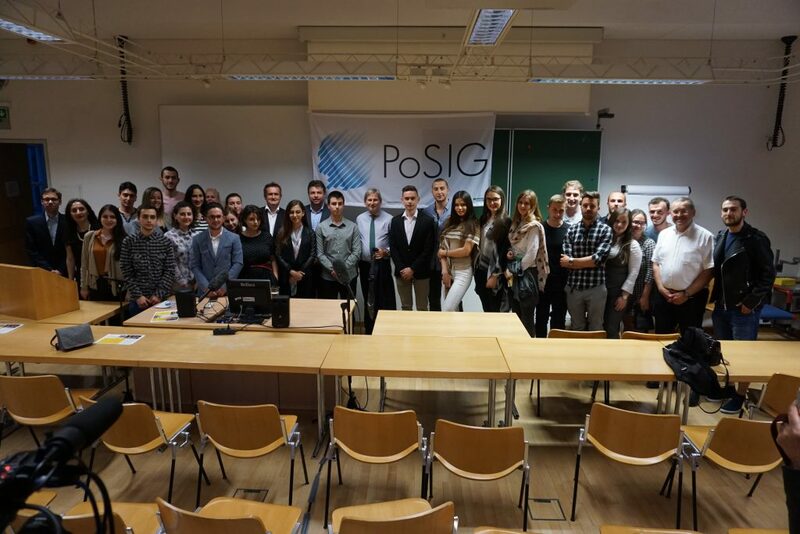 On 27th of April at the University of Salzburg, Department of Political Science was held a meeting between students, academics and Mr. Johannes Hahn Commissioner for European Neighborhood Policy and Enlargement. The discussion was opened by Prof. Reinhard Heinisch, Head of Department and followed by Dr Franz Kok, Executive Director of PoSIG. The commissioner Hahn valued the initiative of this joint master degree as an important example of European integration and in the same time congratulated the student representatives from Albania and Macedonia for the progress regarding the EU recommendations. According to the Commissioner Hahn the Balkan Countries have made a significant progress towards the integration. 2025 is an important indicative date for the future enlargement, it is ambitious and it asks a lot of work and effort from the decision makers. Is the time now to put more effort into the reforms, said Hahn. The relationship between the EU and the Balkan countries is seen for the Commissioner as a symbiotic relation where all the parties benefit from each other. Right after the Commissioners speech it was held an open discussion between the participants; the main topics were related to the future enlargement of the European Union. 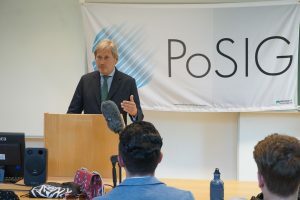 Commissioner Hahn called on students and young people in general to get involved in decision making processes as long as they should decide for their own future, “Only the will and the energy of the youth will bring the change” said the Commissioner. Mr. Hahn promised to continue with these meetings with other fellow students in the future.